Eat, Explore and Experience are my 3 eggs of wisdom for you. A blog filled with my culinary journey and travels. This recipe is made with homegrown lemons which are their best during the winter. As I'm getting over a cold, I wasn't going to say no to a bagful of bright yellow lemons. 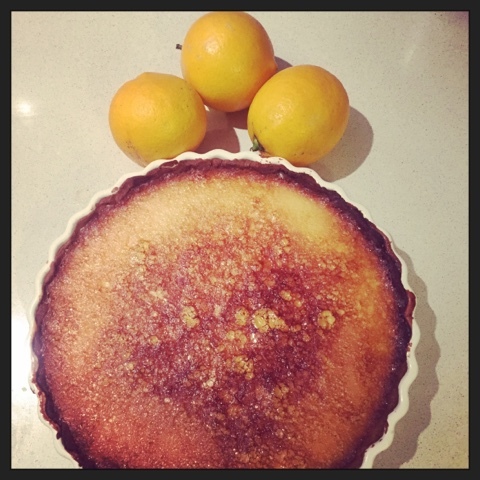 What better treat is a lemon tart for an afternoon tea or served as dessert after dinner on these cool evenings. 1. In a food processor, combine flour, butter, salt, icing sugar until it forms a coarse crumb like appearance. 2. Add egg yolks and vanilla extract into the food processor and mix until combined. 3. Shape pastry into a disc and cover with plastic film and place in the fridge for 30 mins. 4. Make a cartouche* with baking paper to cover the base of the 20cm flan pan or 20cm springform cake pan. Basically a circular shaped piece of baking paper so the tart crust doesn't get stuck on the bottom. 5. Roll out pastry between baking paper and the plastic film used to wrap pastry. 6. Place pastry into a lined 20cm flan/cake pan. Use your hands to mould pastry around the flan/cake pan. Cut off excess pastry around the flan/cake pan with a knife. 8. Preheat the oven to 180C degrees and bake the pastry case with baking paper held down by dried beans for 15-20 mins. 9. Remove baking beans and return pastry case to bake for another 10 mins. Before taking out to cool. 10. Turn the heat down to 150C. 11. Whisk together sugar, zest, lemon juice, cream, vanilla extract and eggs one by one. 12. Pour the lemon filling into the pastry case and cook 35-45 mins or until the mixture is set. 13. Serve as is or with a dollop of icecream. *How to make a cartouche. I usually start with a square, fold in half to get a rectangle, fold in half again to get a square, then fold again along the edge of the folds to get a triangle. You will want to use the end with no edges or else you'll end up with 2 semi circles. Place pointy end to the centre of the 20cm cake pan and cut off the larger end of the triangle to fit within the cake pan. When you unfold the baking paper, it should be a perfect circle. Photos taken by lilbusgirl. Travel theme. Powered by Blogger.